Caninetherapies.co.uk presents an article about a specific topic. 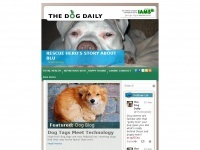 two profiles were found for Caninetherapies.co.uk in social networks. Among other social networks the website is represented in Facebook and Twitter. 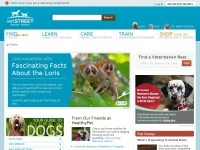 The web server used by Caninetherapies.co.uk is located in Great Britain and run by Iomart Hosting Limited. This web server runs 4 other websites, their language is mostly english. 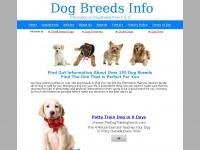 The Caninetherapies.co.uk websites were developed using the programming language PHP and served by a Apache server. For managing the data of the webpages the CMS WordPress in the version 4.7.5 is used. The website uses the latest markup standard HTML 5. The website does not specify details about the inclusion of its content in search engines. For this reason the content will be included by search engines. 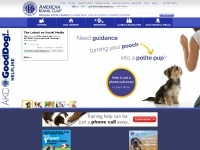 Akc.org - Ameri­can Ken­nel Club - The Dog's Cham­pion - Ameri­can ..
Vetstreet.com - Vetstreet.com is the In­ter­net's Lea­ding Pet Care and ..